Will Jonathan Drouin have a breakout year with Montreal this year? Every year fantasy hockey owners look to find late-round value picks in their drafts. Here’s a list of 10 late-round picks with lots of potential to target. Back after spending the past two seasons in the KHL, Nichushkin is hoping to get his NHL career on track. Since being selected 10th overall in the 2013 Draft, the Russian dangler has shown flashes of brilliance, but has failed to put it all together on a consistent basis. Perhaps playing with Jason Spezza and fellow countryman Alexander Radulov on Dallas’ second line can help ignite the 23-year-old’s game. Due to all the negativity in Montreal these days, the 23-year-old has become an afterthought in fantasy circles. Don’t sleep on him! 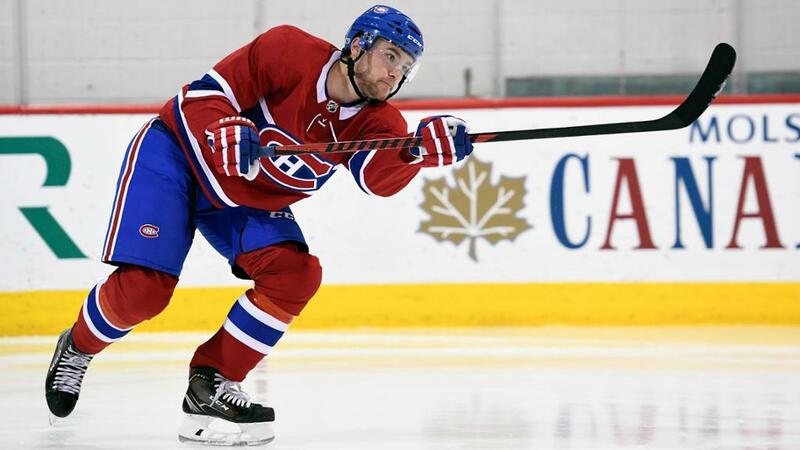 In his first year with his hometown Canadiens, Drouin netted 13 goals and 46 points. Now that he’s got more comfortable in his home province, a 20-goal, 60-point year isn’t out of the question. The Sharks winger is coming off a steady showing in the Stanley Cup Playoffs where he tallied two goals and five points in 10 games. With San Jose’s aging roster, it’s imperative to infuse some of the younger talent into more prominent roles. Meier is expected to start the season on a line with Logan Couture and Tomas Hertl. From his heavy shot to the way he sees the ice, the Manitoba native is poised for a breakout campaign. In his first full NHL season, he tallied 10 goals and added 22 assists for 32 points in 68 games. Twelve of those points came in the final 15 games of the season. After some early career injury concerns, a healthy Fiala was finally able to find some consistency to his game last year for the Predators. The Swiss winger had 23 goals and 48 points in 80 regular season games, then added four points in 12 playoff contests. Following the blockbuster three-team trade last November, Fiala found instant chemistry with newcomer Kyle Turris as well as veteran Craig Smith on Nashville’s second line. Erik Karlsson’s departure from Ottawa paves the way for Chabot to grab the reins offensively on the back end. The 21-year-old puck mover will almost certainly see more than 20 minutes a night playing on the top defensive pairing while anchoring the first power play unit for Guy Boucher’s squad. The 2015 first round pick is likely to grow significantly upon his nine-goal, 25-point output in his rookie season. It’s been a long-time coming, but it appears the Amsterdam-born Sprong is ready to grab a full-time gig with the Penguins. The speedster tore it up in the AHL last season potting 32 goals and 65 points. His natural fit would be on Sidney Crosby’s wing, but the 21-year-old is more likely to start on Pittsburgh’s third line with Derick Brassard and potentially Bryan Rust. Because of Winnipeg’s uncanny depth up front, the shifty forward is still in tough to gain a primetime spot with the Jets to start the season. He averaged more than a point a game in the AHL last season (35 points in 32 games) before posting 17 points in 41 NHL games (regular season and playoffs combined) in a mostly minor role. He’ll become a significant fantasy piece once he finds himself in a top-six situation. With each passing year, the pressure grows on Puljujarvi to live up to expectations of a fourth overall pick. The 20-year-old has just 13 goals in 93 career games, but is expected to see some significant time this season with Connor McDavid. That’ll do it. The Oilers defenceman’s 2017-18 season turned into a nightmare as he couldn’t shake a nagging shoulder injury, but after off-season surgery, Klefbom is healthy and good to go. He’ll see some significant power play time and is likely to be reunited on Edmonton’s top defensive pair with Adam Larsson. A 15-goal, 50-point benchmark is very attainable.